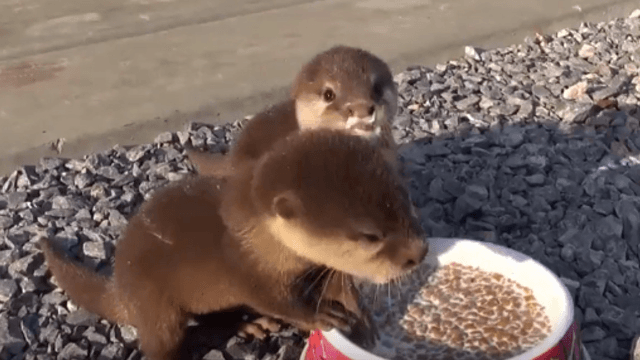 This squeaky baby otter video is basically a visual antidepressant. Otters: the animals so universally cute and well-liked, they could probably be used to safely disarm criminals if cops kept them in their squad cars. (Side note: You know you would watch a show called Cop & Otter.) And baby otters? Well, everybody knows that baby animals are even cuter than the adult versions. So that means that a video of oh, say, baby otters eating while making squeaky "om nom nom" noises would basically be the peak of Internet video, right?